Abandoning a low-profile approach in international affairs, China has implemented a more assertive foreign policy during the era of Xi Jinping. Does Beijing have the intention and capabilities to rebuild a Sino-centered world order? Will China become a hegemonic power in Asia as well as in the world? How does the historical past shape China's foreign policy? 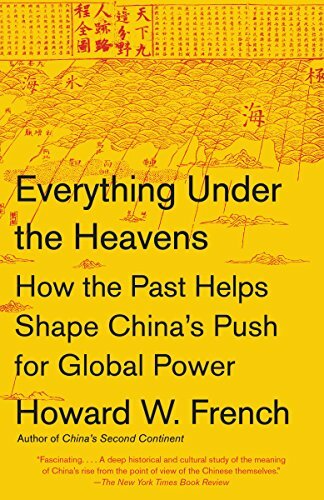 Howard W. French, a journalism professor at Columbia University and a former New York Times journalist, provides a cultural and historical analysis of China. French writes elegantly and accessibly, combining excellent scholarship of Asian history with vivid and penetrating analysis of contemporary Asian affairs. To continue reading, see options above.